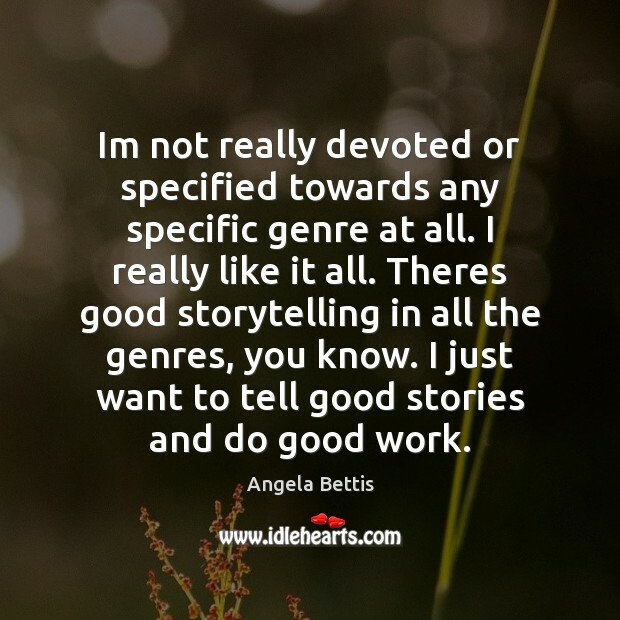 Enjoy the best inspirational, motivational, positive, funny and famous quotes by Angela Bettis. Use words and picture quotations to push forward and inspire you keep going in life! I find human beings to be so complex and full of beauty. Creativity is our way to express and challenge and flow. 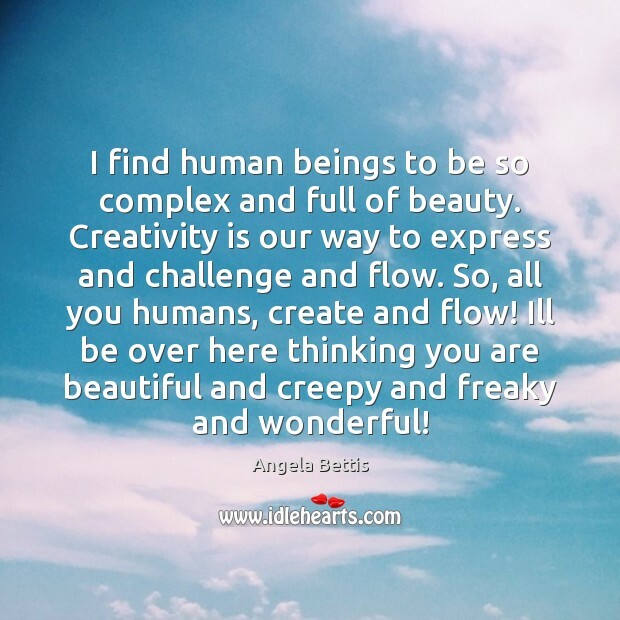 So, all you humans, create and flow! Ill be over here thinking you are beautiful and creepy and freaky and wonderful! I really dont feel like Im in any kind of contest. Except, maybe, with myself. Just want to learn and create and grow. Get better all the time with these filmmaking tools. I dont expect perfection from myself. Just progress. I dont know if I feel a responsibility to encourage women, I just do! Yes, I think all of us chicks should be inspired and create! In whatever way that inspiration comes, we should shine! Honestly, I feel the same way about men. Im not really devoted or specified towards any specific genre at all. I really like it all. Theres good storytelling in all the genres, you know. I just want to tell good stories and do good work. 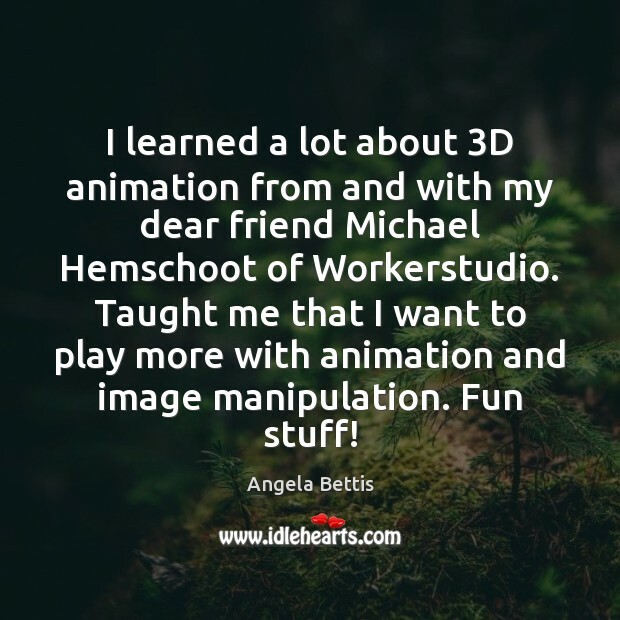 I learned a lot about 3D animation from and with my dear friend Michael Hemschoot of Workerstudio. Taught me that I want to play more with animation and image manipulation. Fun stuff!